Never Had It So Good Sports Radio welcome CFB HOF'ers, The Riley Brothers! 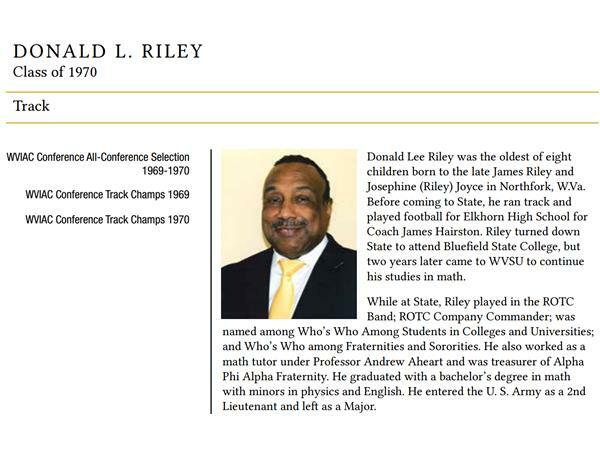 Donald Lee Riley was the oldest of eight children born to the late James Riley and Josephine (Riley) Joyce in Northfork, W.Va. Before coming to State, he ran track and played football for Elkhorn High School for Coach James Hairston. Riley turned down State to attend Bluefield State College, but two years later came to WVSU to continue his studies in math.